Fterota Logia: What is Nothing Happened about? You have thirty seconds to describe it. Go! Molly Booth: Summer camp magic. Learning to be vulnerable. Toxic masculinity. What it is to be a good, loyal friend. QUEER GIRLS IN LOVE. OK. That’s 30 seconds. FL: Has your writing changed since your debut novel, Saving Hamlet? What is it like to grow, as an author, and how does this affect how you approach writing? MB: I think it has changed! I’ve become more aware of my writing process, which is sometimes great, and sometimes really difficult. Growing as an author is wonderful and fascinating and painful. I think completing Saving Hamlet made me think I could just, you know, go out and write another book! But then I realized that I only knew how to write Saving Hamlet, and I had to learn how to write Nothing Happened. Some skills transferred, others didn’t. One super new thing I worked on with Nothing Happened was writing multiple perspectives and using many voices to tell one story. FL: WHY Shakespeare? What are the benefits of adapting Shakespeare to the YA genre? Are there any cons to doing so? MB: Shakespeare because I love his plays, and they inspire me! I think they can help us think deeply about humanity and can create empathy for each other and for ourselves. I have found myself so many times in Shakespeare’s works, and I hope to bring that experience to young people. In terms of the writing experience, when adapting Shakespeare, you get a beautiful text in conversation with your story – so whenever you’re feeling uninspired, you can flip to a page from the play, read some gorgeous words, and get those gears going again. One of the cons is the pressure to stay within the story you’re working with, which can sometimes feel limiting. My editor Kieran Scott and I had to figure out how to strike that balance with Nothing Happened, and I’m happy with where we settled. FL: Your last novel, Saving Hamlet, included actual trips to Elizabethan England and Shakespeare’s Globe. Nothing Happened does not involve any time travel. How are they both adaptations? What makes them similar, and what makes them difference? MB: Saving Hamlet is an adaptation in the sense that we’re exploring the text and themes of Hamlet, like identity, as Emma explores them herself and makes connections between what’s happening in her world and what’s going on in the play, to understand them both better. Nothing Happened takes the characters and plot from Much Ado About Nothing and reimagines them to fit this version’s needs. The difference is really, I think, that I’m a super nerd about Much Ado’s characters, and I wanted to explore interpretations of them. I could see them so clearly as teenagers feeling so many things. Nothing Happened is kind of a 300+ page fan fiction of a Shakespeare play. FL: What is your writing process like? How do you overcome writer’s block, or moments where creativity seems hard to find? MB: My writing process is anxiety-ridden, and I’m working to make it less so xD. But typically, I have an idea, and then I write a terrible first draft full of holes. I read it over and create an outline based on everything that’s wrong with it, and write a more thorough, second draft. That second draft has typically been the working draft from then on, but it changes a lot till we’re at the 3rd or 4th or 5th iteration. Oh gosh, writer’s block is a tough question. I used to feel like writer’s block was a simple problem to be solved with a kitchen timer and a cup of tea, but I have faced some serious creative writing problems this past year that took a lot of time and reflection to unpack. Right now, I’m making myself handwrite pages every day, and that’s really working for me – I think if we get rusty, creatively, we can convince ourselves that our creativity was a fluke and now it’s gone. When in reality, being creative, getting into that zone, takes practice. I think it takes working at it and working through it when it feels stiff and cranky. FL: Do you have a favorite book character, from either of your books? Which of your characters do you wish you were more like? Do you dislike any of your characters? MB: In Saving Hamlet, I love Emma, Lulu, Cooke, and Stanley more than I can express. They feel like my younger self’s fictional best friends, and I love hanging out with them when I’m writing them. I definitely wish I was as brave Lulu or as fearlessly creative as Stanley. That probably helps my readers position me as Emma. Which isn’t super far off! In Nothing Happened, I truly love every main character, and feel super close to all of them, I think because I wrote them all in first person. I do really relate to Bee’s sense of right and wrong, and how protective she is of her sister. I definitely dislike parts of my characters and their harmful actions, but I try to write them with sympathy and understanding how unaware they are of what they’re doing. I really challenged myself to get into the heads of Claudia and John, traditionally the Much Ado villains, and try to figure out where they were coming from. FL: Nothing Happened has such a diverse cast of characters and really seems to represent its audience well – there’s something very relatable about the way that you write your characters, no matter who they are. What books or characters did you personally relate to while you were growing up, and why? MB: Thank you! I felt really understood by the characters in Tamora Pierce’s novels. I loved Alanna’s drive to prove herself, I loved Daine’s kindness, and Daja was so strong – and one of the first queer women characters I read. Those universes meant so much to me. Francesca from Saving Francesca by Melina Marchetta (one of my all time fav. YAs) was another hugely relatable character for me as a teen, because she tried so hard tone down who she was, and that’s something I felt I had to do too. I have emotional memories of reading that book and feeling utterly relieved to see her character slowly becoming assertive and weird and loud and herself again. Also: Rachel and Cassie from the Animorphs series! Cool, kind, funny, tough girls getting stuff done and fighting a losing battle to save the world by transforming into animals. I mean?? There was nothing better than that. FL: What are your thoughts on the rise of the YA novel? What, if anything, can YA literature provide that, perhaps, other genres cannot? MB: It’ll keep on rising! I’m a huge YA fan. It’s a genre of writing that I’ve always been drawn to because of its mission – these books seek to help young people. But what’s also amazing about YA is that it actually gives anyone teen+ room to think about how their identity forms and changes. We like to say we know who we are by the time we’re “adults,” but I think that is super not true for a lot of people. FL: Are you involved with the kidlit/YA online community? What is the appeal of these communities? What kind of influence do you think these virtual communities have on the industry? MB: I’m a little involved, and I like participating in social media. I do try to limit my time to what I know I can sustain and balance for myself. I love that it provides ways for me to get to hear from readers who can’t make it to a signing or a reading. I also learn a tremendous amount online from readers, writers, teachers, editors, agents, bloggers, speakers, etc. – I think these online conversations do directly affect how we read books and how we write them, especially when thinking about diversity. In terms of the publishing industry, I think the kidlit online community has really become a communication and connection hub. So much of the book business happens on social media! FL: Nothing Happened has a strong focus on friendship, particularly strong female relationships, and family. What fictional (or nonfictional) friendships/relationships inspire your characters? MB: A big early influence on me was The Two Princesses of Bamarre by Gail Carson Levine. I’d never seen a sibling relationship so front and center like that before reading it, and I related it back to my own experiences of having four siblings whom I was fiercely loyal to. In college, through my awesome feminist friends, I began to understand and value platonic relationships at another level, and now that comes through in most of my writing. Teen me was very brainwashed by the patriarchy into thinking I was in competition with women and people who were not cis hetero men, for the romantic and sexual attention of cis hetero men. I very much tried to separate myself – “I’m not like other girls” internalized misogyny crapola. I had to learn that there was vital power and love in platonic friendships and relationships. Those messages are really important to me in terms of what I want to get across for my readers. 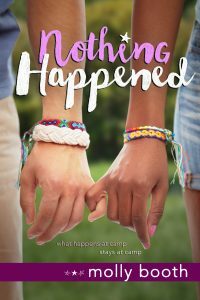 FL: Nothing Happened has been listed among 2018’s top LGBTQA and Queer YA books. What makes Nothing Happened a queer novel? Do you think that labeling literature (ie, queer, poc, etc) is still necessary? MB: I don’t think I could define what a queer novel is for everyone, but I think queer people as main point of view characters, who live a queer experience, is a solid way for me to think about it. That’s the difference I’m seeing between Saving Hamlet, which did have queer characters but has a heterosexual presenting main POV character, to Nothing Happened, which has queer characters that we get to know from their own POV chapters. We hear through their own words how they think about themselves as queer too. In terms of obstacles, I think we need a broad range of struggles in queer representation. I think it’s going to take a long time for us to overcome hegemonic societal assumptions to a point where we don’t need labels like “queer.” I think these labels are making space for marginalized groups, and for now, they seem necessary, and even empowering, to me. FL: One of the characters in Nothing Happened, struggles with depression and mental health issues. Its dealt with beautifully in the novel in a subtle, but very real way. Why did you choose to include this in the novel? What are your thoughts on the depiction of mental health issues in YA literature? MB: Thank you! I wanted to include this in the novel for a few reasons. One, because I feel passionately about breaking down the stigma that surrounds mental health struggles, and I think that’s especially important when you’re writing for young people. Two, because I felt like it fit this character, Hana, and I wanted to show a young person with mental health struggles starring in a rom com. Kieran and I spent time brainstorming Hana together, and what my version of her would look like – we’re both Much Ado super fans. In the original play, her character, Hero, is very young and very manipulated by her father, so she’s extremely vulnerable. I thought a lot about what I wanted to do with that in terms of translating it for my version, and I decided that it made sense to me for her to be dealing with one of her first big bouts with depression. I’ve both been Hana, the person struggling, and then also been Bee – the person who’s there and trying to help, but feels like they’re not able to fully reach the other person. I was also intentional in normalizing Hana’s mental healthcare: she takes antidepressants, and she sees a therapist. I’d like mental healthcare to be seen as normal and healthy. FL: Why did you choose to tell the story from several points of view? What does this add to the story telling? MB: I wanted to show the community of a Shakespearean comedy! I drew a lot of inspiration from Pride and Prejudice in terms creating a collective community environment, but I’m not yet much of a third-person POV writer. Much Ado really has multiple perspectives, and this was the best way for me to show that on the page. I think it helped with the pacing, with the miscommunication, with the flashbacks, and with the camp’s overall setting and consciousness. I think it also allows the reader to understand and empathize with all the major players in this story, to some extent, and that was important to me. FL: Can you tell us anything about your future projects? Are you working on a new book? 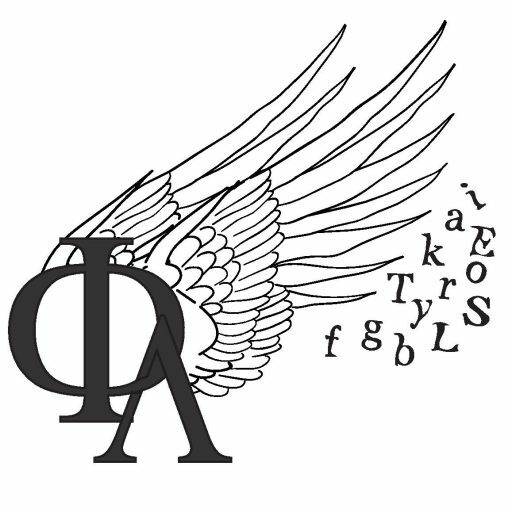 Do you plan to adapt more Shakespeare into YA?